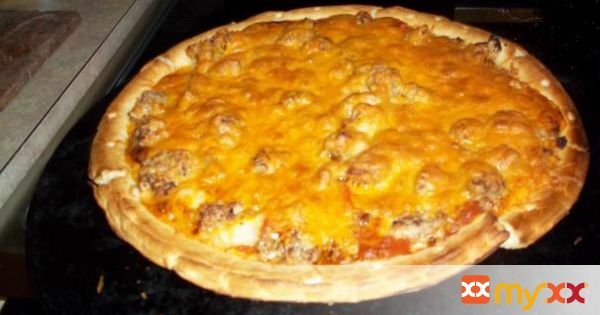 Took some raw pork crumbles, seasoned heavily with Italian seasonings, garlic and onion and topped a boboli crust with a butternut squash base as a sauce and it worked. 2 clove(s) minced garlic, minced fine! 3. Cook raw pork until no longer pink with garlic, onion and seasonings. 6. Spread on mixed sauce. 8. Spread with cooled crumbled pork, onion, garlic and seasonings. 10. cook 10 minutes at 425.